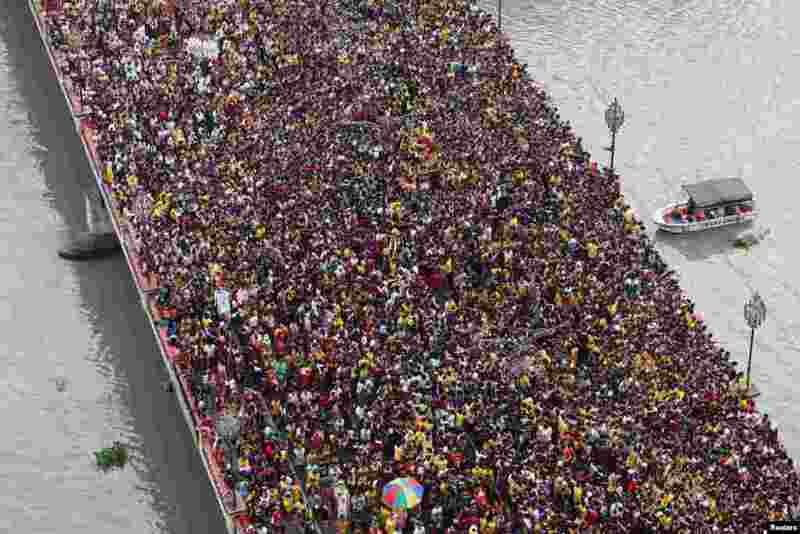 ١ Devotees flock as a carriage bearing an image of Black Nazarene makes its way through the Jones bridge in Manila, Philippines. 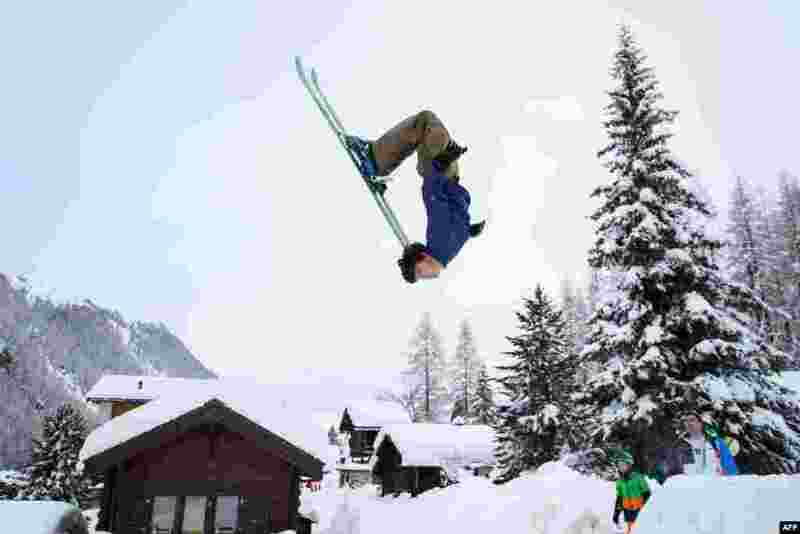 ٢ Teenager Luc makes a backflip on skis in the small resort of Zinal, Swiss Alps, after the access road which was cut by heavy snowfall reopened. 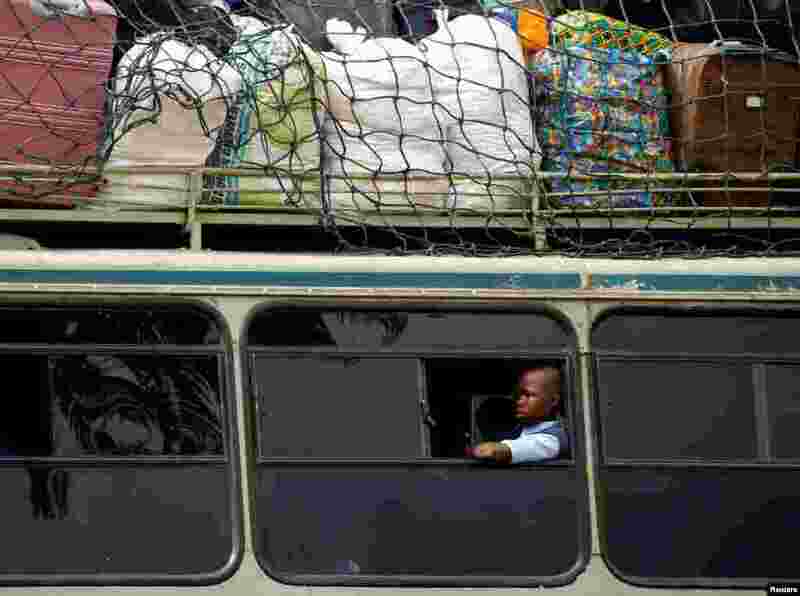 ٣ A child sits inside a bus on its way to a boarding school on the opening day of the new school term in Mbare township, Harare, Zimbabwe. 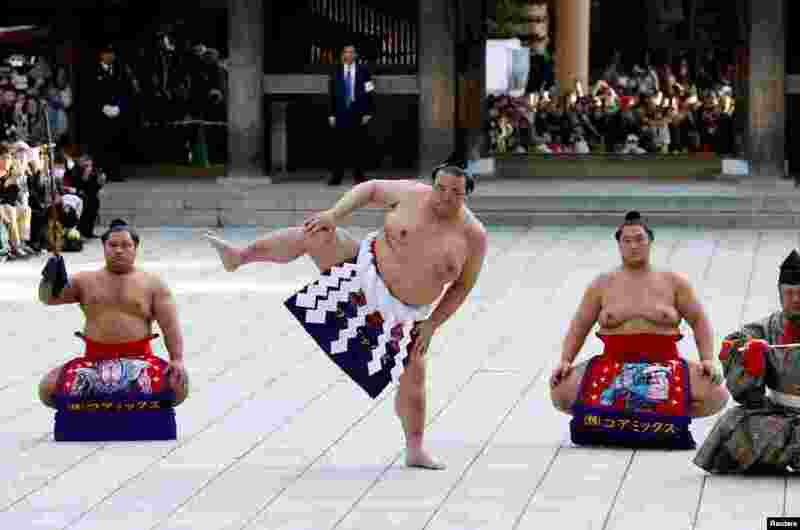 ٤ Japanese grand sumo champion Yokozuna Kisenosato performs the New Year's ring-entering rite at the annual celebration for the New Year at Meiji Shrine in Tokyo.